On Sunday, Joginder Singh and Rajpreet Singh had been suspended by Patiala Senior Superintendent of Police (SSP) Mandeep Singh Sidhu and a Look Out Circular (LOC) was also issued against them. Police had alerted airports so both officers could not leave the country. Two assistant sub-inspectors (ASI) of Patiala police who were booked along with a third individual in connection with misappropriation of cash they had recovered from the house of a Jalandhar-based priest, have been absent from duty since March 25. On Sunday, Joginder Singh and Rajpreet Singh had been suspended by Patiala Senior Superintendent of Police (SSP) Mandeep Singh Sidhu and a Look Out Circular (LOC) was also issued against them. Police had alerted airports so both officers could not leave the country. Neither had taken permission from Patiala police for leaving the district. Both ASIs were booked on Saturday by the State Crime Branch along with the third accused — Surinder Singh. On March 29, they were part of the team which recovered money from the residence of Father Anthony Madassery in Partappura, Jalandhar. 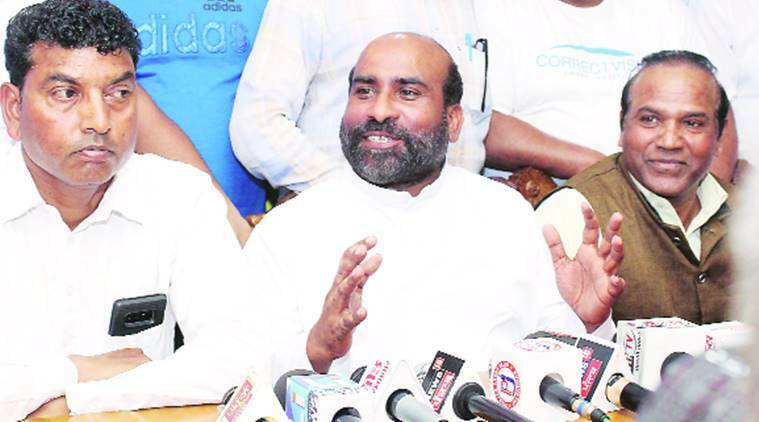 Later, Father Anthony had alleged that police recovered Rs 16.65 crore in cash but showed only Rs 9.66 crore on record. A Special Investigation Team (SIT) constituted by Punjab Director General of Police (DGP) Dinkar Gupta had on Friday recommended FIRs against both ASIs and one Surinder Singh. Sources in Patiala police told Chandigarh Newsline that whenever any police personnel is transferred, he/she has to take a command certificate from the place of earlier posting and submit the same at the new place of posting. “Both officers did not take command certificates from Patiala, where both were posted. We also do not know in which capacity they were working with Khanna police,” said a police officer. When contacted, Khanna SSP Dhruv Dahia said it is not possible that both officials did not get the command Certificate. He added that only Patiala police could verify this. Patiala SSP Mandeep Singh Sidhu said both ASIs had been absent from duty without informing anyone. “We are investigating. As of now, our records do not show that both ASIs have taken command certificates,” he added. Last week, the Punjab Ekta Party (PEP) had written to the Election Commission (EC) seeking transfer of Punjab DGP Dinkar Gupta alleging that his close proximity with the Congress and “misuse of powers” are a threat to the conduct of free and fair elections in the state. “Gupta hand-picked some of his favourite police personnel, from different locations of Punjab…and temporarily attached them with Khanna district police,” PEP president Sukhpal Khaira had stated in his complaint letter addressed to Chief Election Commissioner Sunil Arora.